Leon Gower is determined to prove size matters when he takes on Brad Foster for the Midlands Super Bantamweight Title on Friday. Someone’s ‘0’ must go when the two undefeated prospects battle for the belt in the Stadium Suite at the Banks’s Stadium, Walsall Football Club. Their hotly-anticipated clash is the main event of Errol Johnson’s Black Country Boxing Promotions bill on Friday July 20. The area crown at the weight hasn’t been contested for nearly 14 years, since the late Chris Edwards scored a second round TKO over Neil Read in September 2004. The Class of 2018 will now look to honour his memory by looking to put on a fight befitting of a British Boxing Board of Control belt. Gower, from Burton-on-Trent, believes he’s the bigger man and his pro record suggests there’s potency in his fists. He has six wins out of six bouts, three of those by way of TKO. Lichfield’s Foster has eight wins from nine pro bouts under his belt, a draw with Brett Fidoe the nearest thing to a blemish on his pro record. Two of those victories were by stoppage. Gower has boxed at featherweight for the majority of his paid ledger and is coming down compared to Foster, who hovered around flyweight when he turned over. A growth spurt from Foster, aged 20, was evidenced by his last ring outing, a six-round points whitewash over Sweden’s Edward Bjorklund in April. 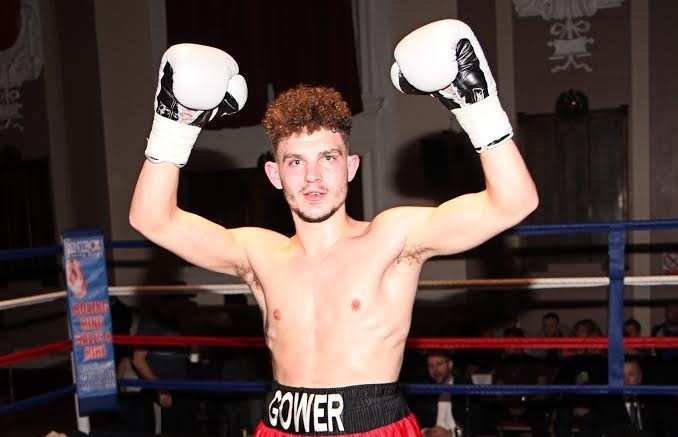 But Gower reckons that won’t be enough to overpower him as he looks to make an impact in a new division, having never gone past five rounds so far with a scheduled 10 approaching. He said: “This is a great opportunity for me, but I couldn’t really have picked a harder fight at area level. This could easily be for an English title or something like that. “There’s so many good lads coming through at the weight that it’s tough just to get a foot on the ladder, as this match up shows. “I like Brad, he’s a good, tidy boxer and he’s grown a lot, but I don’t doubt I’ll be the bigger opponent on the night. “I feel strong at both weights, but it’s certainty that I’ll hit harder at super bantam. I’m capable of stoppage power whoever is in there. I’ve done that to durable people. “There will be 100 per cent pressure from me and we’ll see how Foster copes with that. We’ll find out who has got the better engine. Tickets, priced at £35 standard or £60 VIP with a hot fork buffet, are available by calling the Walsall FC Box Office on 01922 651 414, extension 416. It will be £40 for entry on the door. The Grosvenor Casino Walsall, on Bentley Mill Way, are the show’s headline sponsors. They will host the weigh in and after-show party (over 18s).